Highland Council has called for greater transparency from Police Scotland over apparent control room errors ahead of the Inverness handling centre closing next year. The local authority has responded to recent revelations published by the Scottish Conservatives which reveal more than “200 notable incidents” in control rooms in the past year. 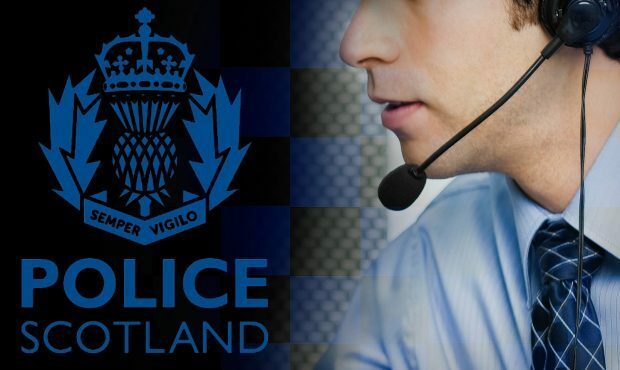 Council leader Margaret Davidson said: “In the light of significant recent media coverage of concerns about Police Scotland’s call handling procedures and the more recent examples of errors emerging, we must ensure that there is full understanding and disclosure about how calls are handled. “We are seeking further discussions with HMICS (Her Majesty’s Inspectorate of Constabulary in Scotland) and Police Scotland regarding appropriate monitoring measures and open and transparent reporting of problems and seeking reassurances about improvements to the national control rooms. Councillor Mathew Reiss, a former leading policeman and Highland Council’s Scrutiny Lead, added: “The local Inverness Control Room is planned to close early in 2018 following a decision by the Scottish Police Authority in September, despite the council’s long standing opposition. “The council’s concerns relate to the loss of irreplaceable local knowledge and other factors including continued centralisation away from the North of Scotland. “It is essential that Police Scotland allow the Local Authorities an opportunity to scrutinise the numbers and types of “notable incidents” as these errors are termed, both before and after the loss of our highly valued Highland Control Room. Assistant Chief Constable Nelson Telfer said: “Police Scotland has received in excess of 2.2 million emergency and non-emergency calls this year. During the same time period 99.99% of calls were handled at the first point of contact without incident. “The Notable Incident process was introduced over a year ago as part of the HMICS recommendations and has been designed for staff to highlight areas from which improvement and organisational learning can be secured. It should also be noted that ‘good work’ incidents are also recorded. “This is to ensure that identified good practice can also be highlighted and shared amongst the staff working within C3 Division, and more widely within the organisation when required. We are continually seeking to improve the service we deliver and the Notable Incident process is one such avenue that contributes to this improvement.